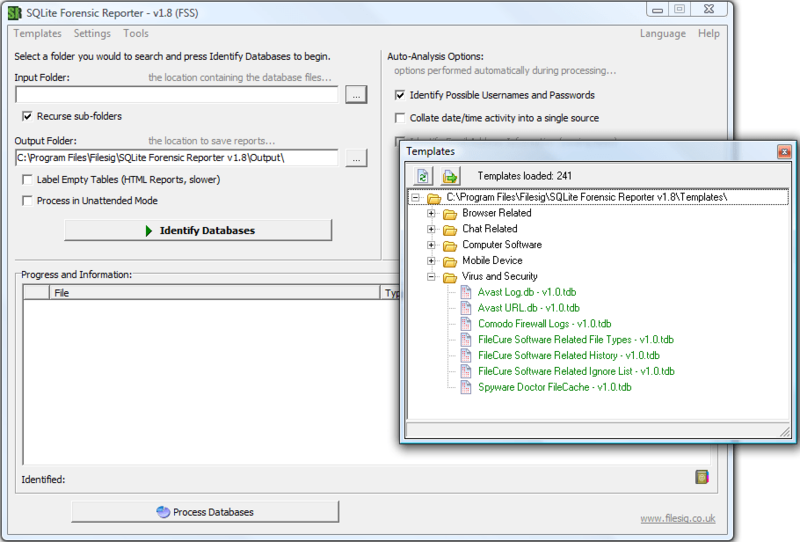 A new version of SQLite Forensic Reporter, Universal SQLite database examination tool is available, version 1.6 now includes more features to analyse, extract and report on information from any SQLite database (not corrupted or encrypted). Useful for Computer & Phone Forensic Analysts and Data Recovery Technicians. More templates added!!! A total of 232 templates are now available with more to come.